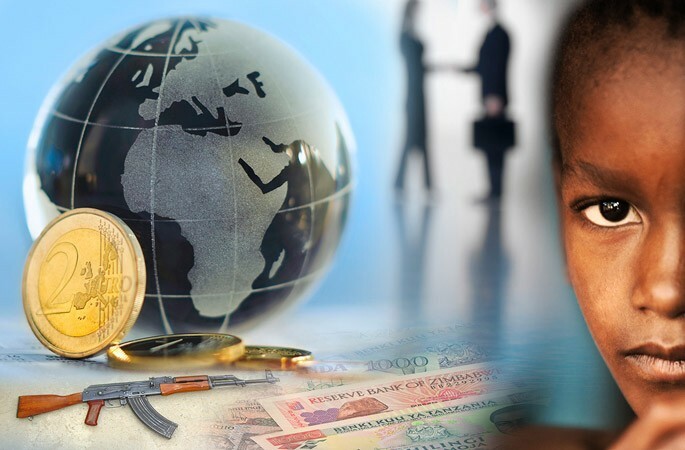 The Friedrich-Ebert-Stiftung (FES), Global Financial Integrity (GFI), and the International Bar Association’s Human Rights Institute (IBAHRI) are partnering to host a three-day conference in Johannesburg, South Africa from May 18th-20th on the connection between human rights and illicit financial flows from Africa. The event will feature both international and African experts on Human Rights and Illicit Financial Flows, and it will include high-level technical discussions on human rights, financial transparency, economic development, natural resources, security, crime, and more. Journalists based in Sub-Saharan Africa wishing to cover the event can apply for a special opportunity to do so, provided in collaboration with the Thomson Reuters Foundation. To learn more and apply for the opportunity, click here. 14:15-14:45 Keynote Remarks – How are Human Rights and Financial Transparency Connected? 14:45-16:15 Session I – What are the Long-Term Human Rights and Development Consequences of Financial Opacity? 16:45-18:15 Session II – Human Rights, Financial Integrity, and Economic Opportunity in Africa: Where do we stand? 09:00-09:30 Keynote Remarks – How can Businesses Practice Financial Transparency to Promote Human Rights? 09:30-10:45 Session III – A Wealth of Natural Resources: Can financial transparency stave off human rights abuses and the resource curse? 11:15-12:30 Session IV – The Business of Conflict: Does the global shadow financial system fuel and support Africa’s violent conflicts? 13:30-15:00 Session V – From Millennium to Sustainable Development Goals: Is transparency the key to unlocking our human potential? Strategy I – How do we Strengthen the Concept of Economic Rights as Human Rights? Strategy II – How do we Strengthen the Legal Framework for Linking Financial Transparency and Human Rights? Strategy III – How do we Apply the Linkages to Policies Aimed at Promoting Human Rights and Curtailing Illicit Flows? Scroll down for information on logistics, accommodations, and more. Please note that conference attendees are responsible for making/funding their own travel arrangements. Languages: The conference will take place in English. Note: Make the booking under ‘FES South Africa’ to ensure the preferential nightly rate. OR Tambo International Airport is serviced by the Gautrain, an integrated transport system, linking 3 metropolitan areas – Johannesburg, Pretoria and Ekurhuleni. It provides passengers with fast, efficient and safe transportation. A shuttle transfer from Park Station to Sunnyside Hotel can be arranged for guests through the Front Desk. There is no fee to attend the conference. Complimentary lunch and coffee breaks will be provided. We regret to inform you that Global Financial Integrity, FES, and IBAHRI are unable to provide funding for travel, accommodation, or per diems for the conference. We apologize for any inconvenience this may cause. There is a very limited amount of funding available for local, Sub-Saharan Africa-based journalists who participate in a media workshop being organized around the conference by the Thomson Reuters Foundation. For more information on the journalist workshop, and to apply for it, click here. Information on things to do in Johannesburg can be found at www.joburgtourism.com. Please direct all press inquiries about the event to Clark Gascoigne at +1.202.293.0740 ext. 222 / cgascoigne@nullgfintegrity.org. Mojanku Gumbi, Independent Non Executive Director, African Bank Investments Ltd.
Stay tuned for information on additional speakers in the near future.